Sculpture continues to occupy an uncertain place in Pre-Raphaelite scholarship, and is still much overlooked. 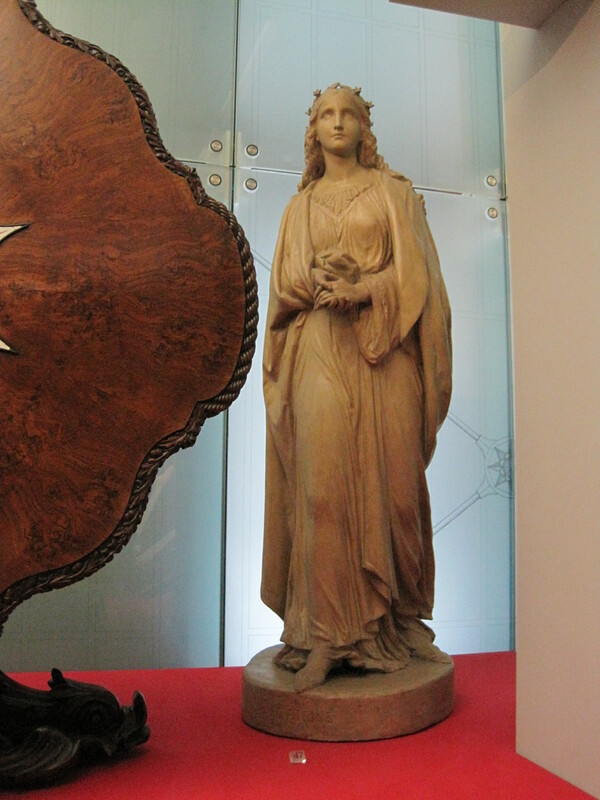 The original Pre-Raphaelite Brotherhood included a sculptor, Thomas Woolner (1825-92), who was also an accomplished poet; he and a close associate of the Brotherhood, Alexander Munro (1825-71), are the two names which generally spring to mind when the subject of Pre-Raphaelite sculpture is discussed. It should not be forgotten, moreover, that one of the PRB’s primary motives was, ‘most indispensable of all, to produce thoroughly good pictures and statues’ (my emphasis). 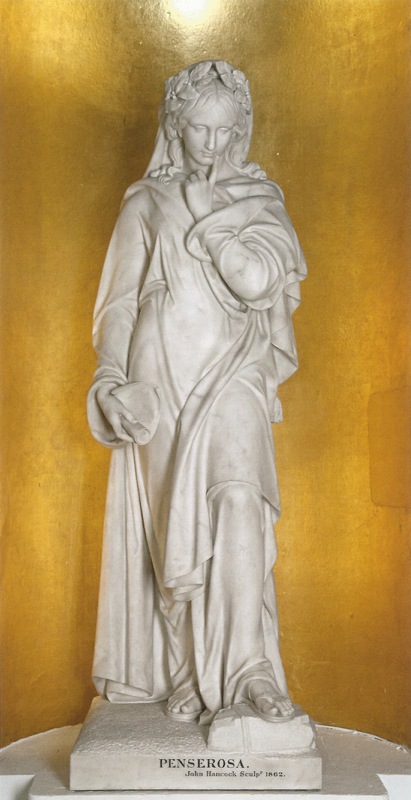 Notable examples include Woolner’s Puck, a work which actually predates the PRB’s founding, and Munro’s Paolo and Francesca, which exists in several versions in plaster and marble (below). Both sculptors were also known for their portrait busts and medallions of contemporary writers, thinkers and religious figures. 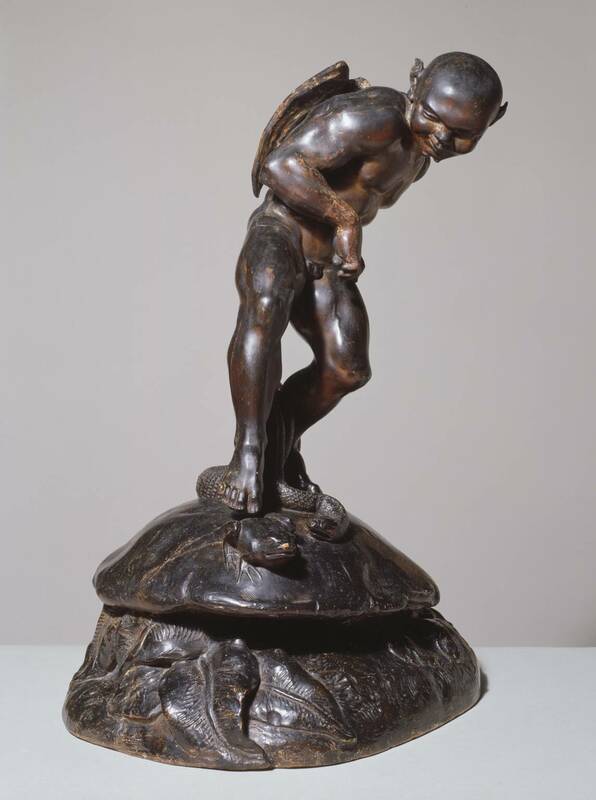 Thomas Woolner, Puck, 1845-7. Plaster, 49.8 x 35.5 x 28 cm. Tate. 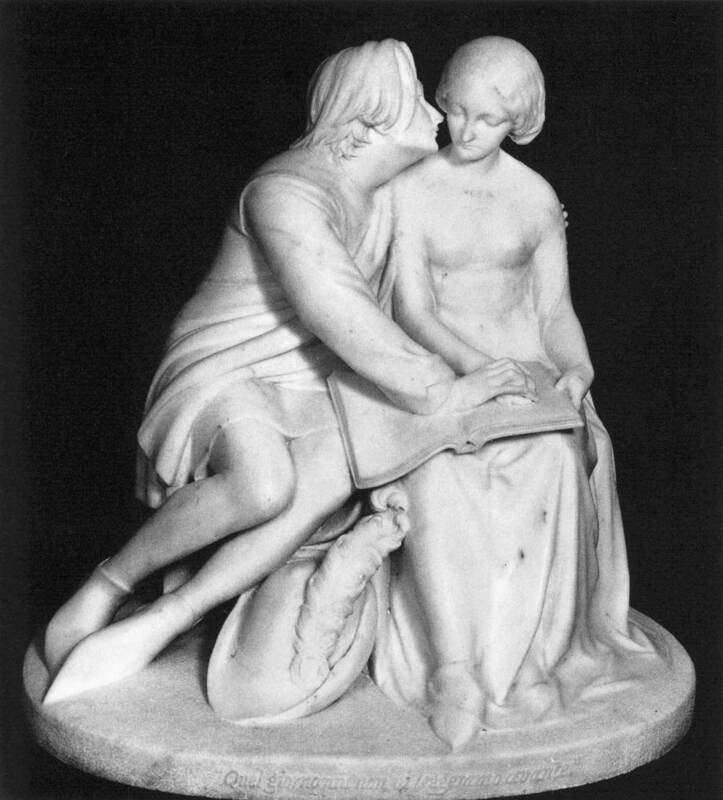 Alexander Munro, Paolo and Francesca, 1852. Marble, 66 x 67.5 x 53 cm. Birmingham Museums & Art Gallery. 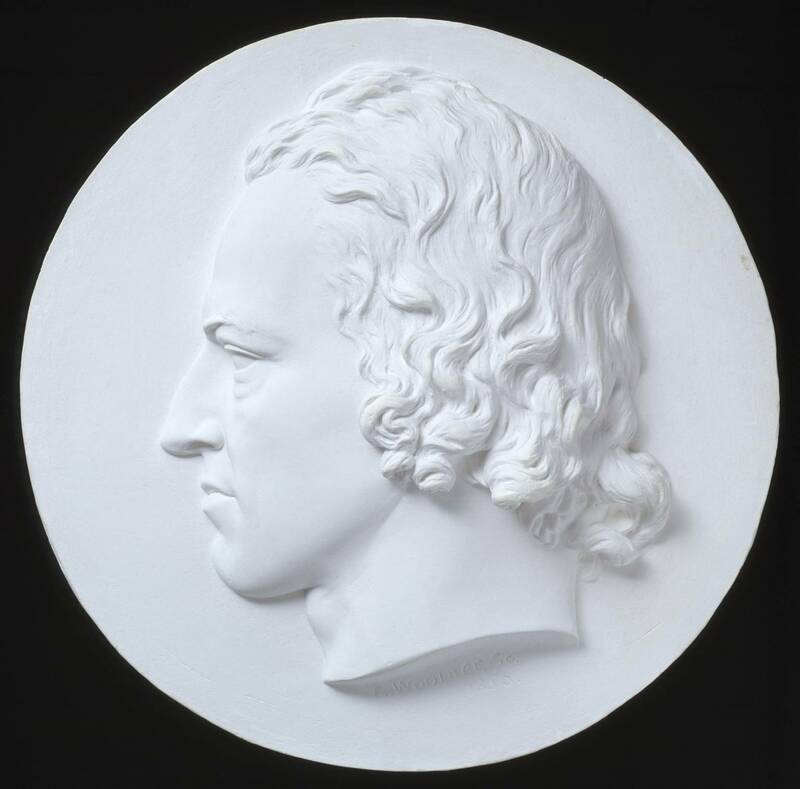 Thomas Woolner, Alfred Tennyson, 1856. Plaster, circular, 26 x 26 cm. Tate. On more than one occasion Munro’s Paolo and Francesca has been cited as the best example of Pre-Raphaelite sculpture, because of its treatment of a medieval literary subject (from Canto V of Dante’s Inferno) and close attention to naturalistic detail. Yet it also reveals the shortcomings of sculpture as a primary Pre-Raphaelite medium: white marble carries immediate classical associations and lacks the bright, intense, hyperreal colouring of Pre-Raphaelite painting, while the work itself is confined (out of necessity for the sculptor) to the two figures alone, without the detailed and richly symbolic setting which would naturally surround them in the pictures of Millais, Hunt and Rossetti. 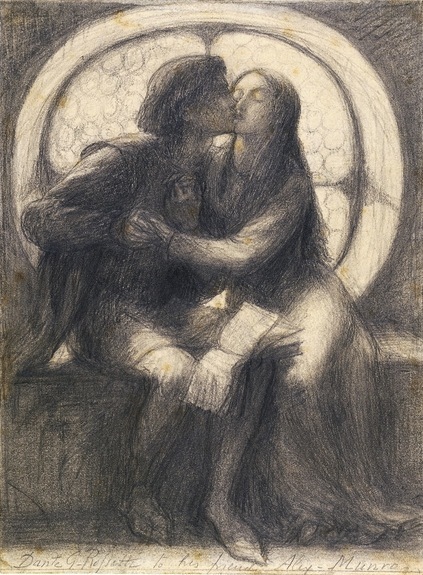 There is visual and documentary evidence, however, that Munro’s composition was closely in dialogue Rossetti’s own drawings and watercolours of the doomed lovers from Dante in the 1850s (below). Dante Gabriel Rossetti, Paolo and Francesca, c. 1855. Pencil, 22.5 x 16.7 cm. British Museum. In the midst of all these examples the name of John Hancock (c.1825-69) has rather fallen by the wayside, despite the fact he was very closely involved with the Brotherhood in its earliest years. The majority of his works are now lost or untraced and details of his biography remain somewhat sketchy, thus contributing to a gradual erasure of his talent and reputation over the years. William Michael Rossetti, the PRB’s key documenter during its formation and long after its dissolution, is also partly responsible — he appears to have taken a strong disliking to Hancock from the outset, acidly calling him ‘an ungainly little man, wizened, with a long thin nose and squeaky voice’. This was even though his brother Dante Gabriel was good friends with the sculptor; Rossetti wrote to Walter Deverell in January 1848 that he would be ‘at Hancock’s studio for some time till the Exhibition, all day & every day’, mentioning that he ‘hope[d] this time to drag Hancock & Munro’ to the next meeting of the Cyclographic Society, a drawing club which was an immediate precursor to the PRB. Hancock was also present at several meetings regarding The Germ, the PRB’s short-lived magazine. 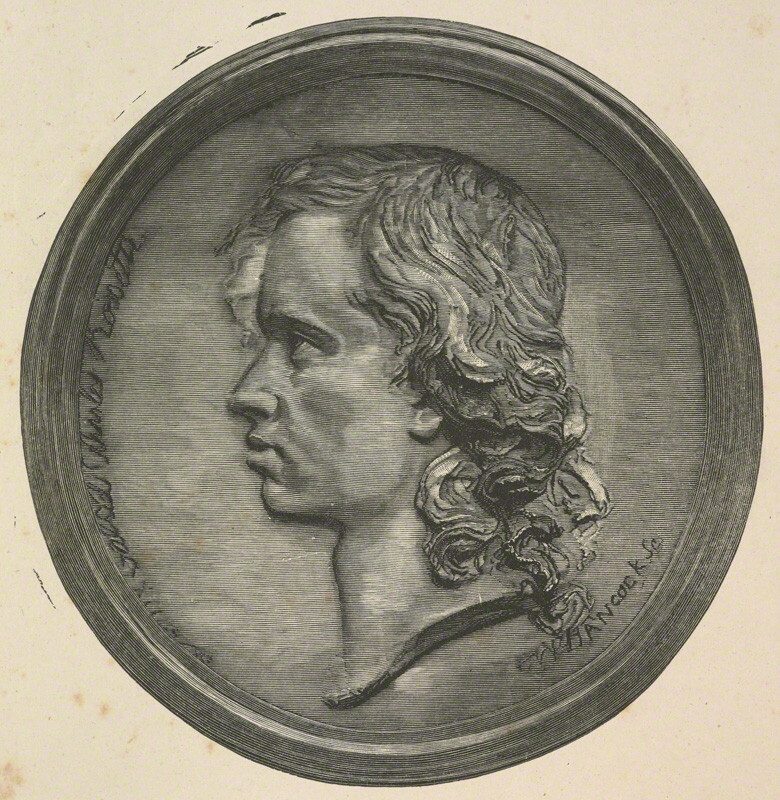 As a result of this friendship Hancock produced one of the earliest likenesses of the 19-year-old Rossetti in September 1846, a portrait medallion which apparently set a precedent for those by Woolner and Munro (below). 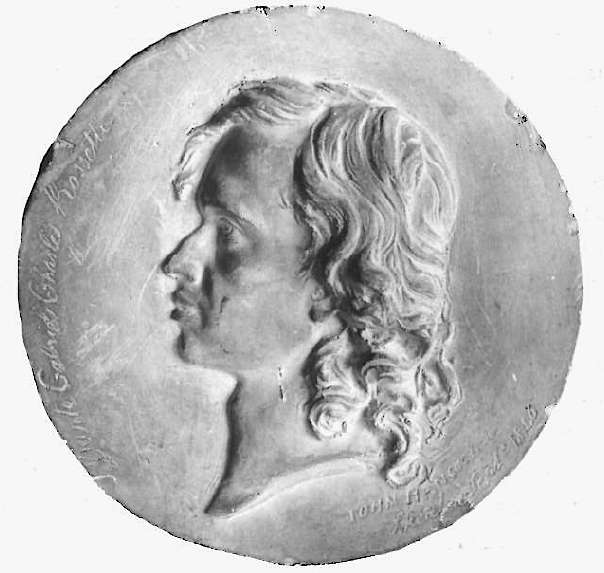 William Michael did at least admit, years later, that the medallion was ‘very near to the true appearance of my brother in those early and teeming years’, when considered alongside the softer, more Romantic self-portrait the artist famously drew the following year. The medallion, which was later reproduced as an engraving, survives in the collection of Wightwick Manor. John Hancock, Dante Gabriel Rossetti, 1846. Plaster, circular, 20 x 20 cm. National Trust, Wightwick Manor & Gardens. Engraving by Paul Jonnard after John Hancock, Dante Gabriel Rossetti (1846). Published in The Magazine of Art, vol. 12 (1888-9), p. 24. 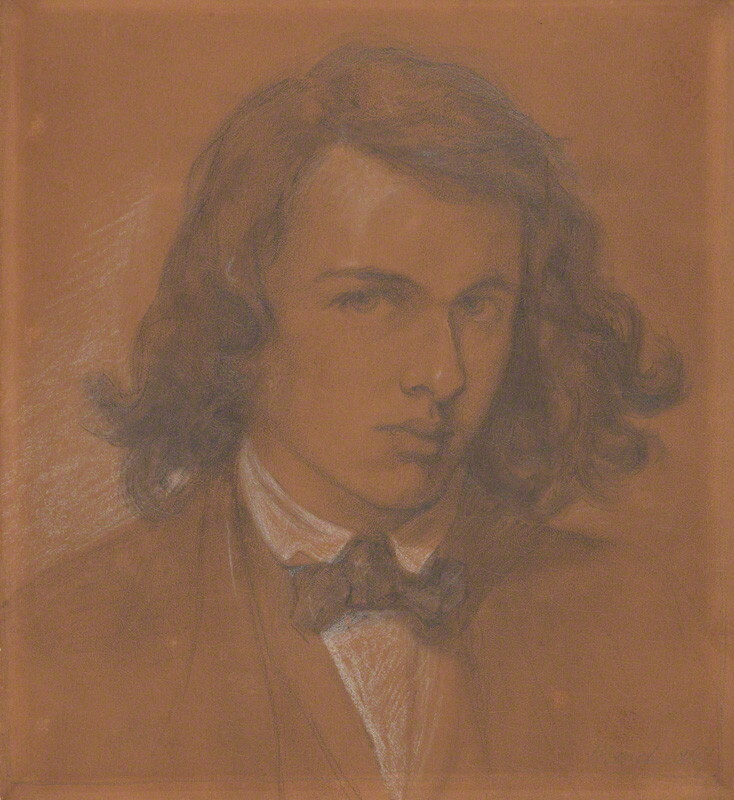 Dante Gabriel Rossetti, Self-portrait, 1847. Pencil and white chalk on paper, 20.7 x 16.8 cm. National Portrait Gallery. John Hancock, Beatrice, c. 1851. Painted plaster, 183 cm. Victoria & Albert Museum. Hancock’s Beatrice on display in the V&A today. This describes one of Dante’s first sightings of Beatrice in Florence as she walked by the Arno, a pivotal moment in the poet’s life. Hancock has her striding forward (an impression heightened when the work is viewed from the side), and adds those naturalistic Pre-Raphaelite details in the dress rippling round her feet, in her pointed medieval slippers and her streaming hair crowned with a garland of flowers. 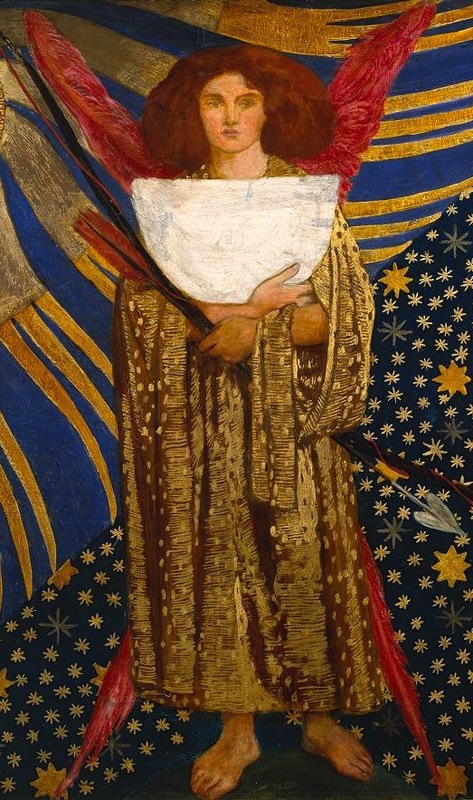 The latter can also be taken as a halo of stars, implying that Beatrice simultaneously occupies the earthly and heavenly spheres — Rossetti, of course, later explored this liminal theme in Beata Beatrix, similarly a ‘portrait’ of Beatrice. It is interesting to compare the two artists’ use of clasped hands, an upturned face and a halo effect; moreover, viewers of Hancock’s saintly woman must look up at her from a lowered position, as if taking on the reverential role of a worshipper — she looks away from us, far over our heads into some unseen distance. She could just as easily be a Gothic sculpture in a medieval cathedral, and indeed Hancock’s practice of painting the plaster a sepia or ochre colour to disguise its whiteness was described by one critic (referring to his now-lost sculpture Maidenhood) as ‘barbarous’ (in this case meaning non-classical). Dante Gabriel Rossetti, Beata Beatrix, 1864-70. Oil on canvas, 86.4 x 66 cm. Tate. Other surviving works by Hancock are Penserosa, a marble statue he was specially selected to create for the Egyptian Hall at Mansion House, London, from 1860-2; and a series of bas-reliefs for the former National Provincial Bank of England in Bishopsgate, London, from 1864-5 (now called Gibson Hall and used primarily as an events venue). John Hancock, Penserosa, 1860-2. Marble, 186 cm. Mansion House, London. Hancock’s posthumous status in Pre-Raphaelite sculpture is still much in need of a resurrection, and this post merely scratches the surface. The hope is that more of his works — some 30 in number — will come to light as awareness of them increases. Thomas Beaumont James, ‘John Hancock: Pre-Raphaelite Sculptor?,’ in Pre-Raphaelite Sculpture: Nature and Imagination in British Sculpture, 1848-1914, ed. Benedict Read and Joanna Barnes (London: Lund Humphries, 1991), pp. 71-76. See also pp. 104-108 for 5 works by Hancock in this exhibition. Benedict Read, ‘Was there a Pre-Raphaelite sculpture?,’ in Pre-Raphaelite Papers, ed. Leslie Parris (London: Tate, 1984), pp. 97-110. Julius Bryant, Magnificent Marble Statues: British Sculpture in the Mansion House (London: Paul Holberton, 2013), pp. 92-95 (for Penserosa). Tim Barringer, Jason Rosenfeld and Alison Smith, Pre-Raphaelites: Victorian Avant-Garde (London: Tate Publishing, 2012), p. 66 (for a small bronze version of Beatrice). William E. Fredeman, ed., The P.R.B. Journal: William Michael Rossetti’s Diary of the Pre-Raphaelite Brotherhood 1849-1853 (Oxford: Oxford University Press, 1975). Fredeman, The Correspondence of Dante Gabriel Rossetti, Vol. 1, The Formative Years, 1835-1862: 1835-1854 (Cambridge: D. S. Brewer, 2002). For an up-to-date biography and list of works, see the entry on Hancock in The Biographical Dictionary of Sculptors in Britain. Much of the material in this post is derived from an assessed essay I wrote for my Masters. I thought it would be nice to discuss the namesake of my blog’s url, dantisamor. It’s a typically Rossettian title with allusions to Dante Alighieri and divine love and with a Latin or Italianate feel to it, so I thought it would make a pretty-sounding WordPress name! Contextually, Dantis Amor also has connections with that divine palace of Art which I am sadly yet to visit, Red House, and therefore with William Morris and the Arts and Crafts Movement. Let’s see why. Rossetti painted Dantis Amor, which translates as ‘Dante’s Love’, on a panel on the door of a settle in Red House, Bexleyheath, which had been built in 1860. 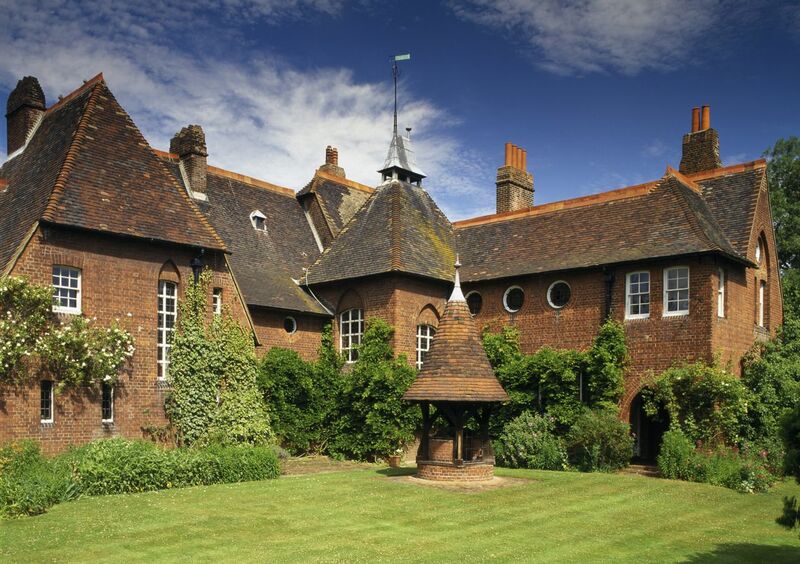 ‘More a poem than a house,’ in the words of Rossetti, Red House was designed by the architect Philip Webb as the home of William Morris and his new bride Jane. While today Bexleyheath has been absorbed into the suburbs of London, in the 1860s it was still very much a rural village miles from the city, and Red House was actually built on the land of an orchard. Its name derives from the colour of its bricks, and its distinctive style, based on medieval vernacular buildings, went on to influence Arts and Crafts architecture in the nineteenth century and beyond. 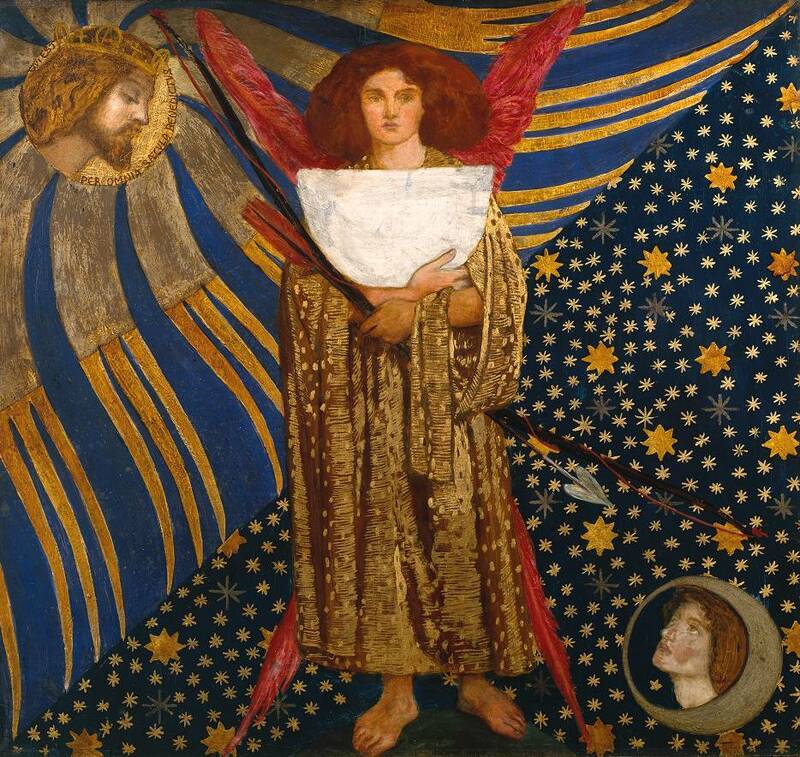 Morris intended it to become a locus of artistic energy and collaboration, with the Burne-Joneses (Edward was also recently married, to Georgiana MacDonald), Rossetti and Elizabeth Siddal, Algernon Charles Swinburne, Ford Madox Brown and other artists and poets frequently visiting of the household. Many accounts of lively parties and garden gatherings survive. Elaborate, collaborative schemes were put in place to decorate the walls, windows and furnishings of the house with paintings and hangings, all in the medieval manner. Beautiful murals by Rossetti, Burne-Jones and others, which were (shockingly!) covered over with panelling and whitewash by later tenants, are still being uncovered today. In the airy, barn-like drawing-room upstairs stands the large, heavy settle whose cupboard doors were originally painted with scenes by Rossetti — these were removed sometime before 1863. 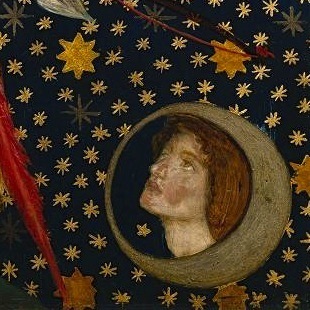 Dantis Amor, the central panel, is now in the Tate, and was included in the 2012 exhibition along with two other Dante-themed panels (below) from the Red House settle (although they were only displayed in Washington). Red House, Bexleyheath, Kent. Designed by Philip Webb in 1859, construction completed in 1860. View from the rear garden. Image copyright National Trust. Dante Gabriel Rossetti, ‘The Salutation of Beatrice in Florence’ and ‘The Salutation of Beatrice in the Garden of Eden’, 1859. Like ‘Dantis Amor’, these two panels were also painted on the cupboard doors of the Red House settle. Note the winged figure of Love bearing a sundial in the middle. 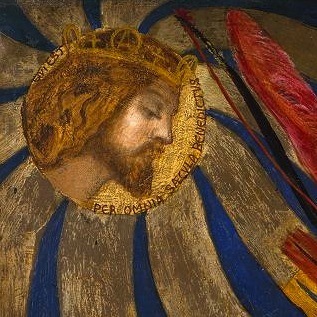 Detail of Christ. The Latin inscription, ‘qui est per omnia saecula benedictus’, is the last line of ‘La Vita Nuova’ and means, ‘Who is eternally blessed’. Detail of Beatrice. The facial features are probably those of Elizabeth Siddal. The angel Love holds a long bow and arrow, at an angle which counterbalances the other diagonal, and also what looks at first glance to be a big white bowl. This is in fact an unfinished sundial; a completed drawing for the picture (below) shows that its shadow would have pointed to the 9th hour. 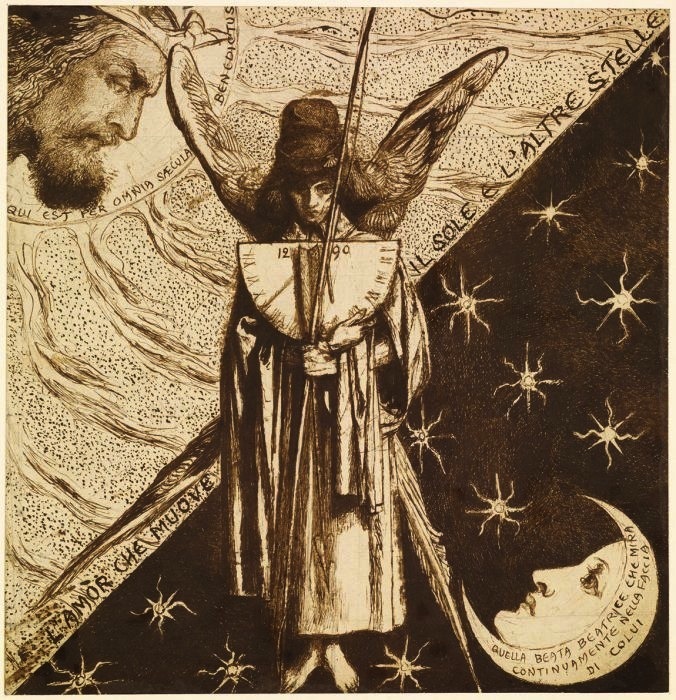 For Dante, the number 9 had deep, symbolic connections with Beatrice: he was nine years old when he first met her (she was eight), his love for her lasted for nine years, and she supposedly passed away at nine o’clock. Since Beatrice was represented by the number 3 (also indicative of the Holy Trinity), she could be tripled to make 9. The angel’s sundial points to this number in memory of the hour of her death, as in Rossetti’s later painting Beata Beatrix (see links below), and is thus an indication that Dantis Amor portrays the moment of Beatrice’s transfiguration into heaven. The figure of the sundial-bearing Love can also be seen on the frame between the other Red House Dante painting previously shown above, and a preparatory drawing for this shows the angel in a similar attitude. Clearly, it was an image which fixated Rossetti. Dante Gabriel Rossetti, ‘Dantis Amor’, design for the Red House painting. This finished version shows the sundial casting its shadow on the 9th hour, and it’s labelled with 1290, the year of Beatrice’s death. Dante Gabriel Rossetti, ‘Dantis Amor’, study of Love with a sundial and a torch, 1860. Like the drawing above, this picture bears the date of Beatrice’s death, apparently on the 9th June. The Latin inscription, ‘quomodo sedet sola civitas’, is the last line of the ‘Divine Comedy’ and means ‘Love which moves the sun and other stars’. So, there we have it. Hopefully it’s now clear why I’ve chosen such a typically Rossettian name for this blog! Extensive images of the newly-restored murals in the living-room of Red House can be found on Claudia Fiocchetti’s blog. I’m dying to go and see the paintings in situ soon! A video about the discovery and conservation of a Biblical-themed mural, possibly a collaborative venture between William Morris, Edward Burne-Jones, Ford Madox Brown and Elizabeth Siddal, can be seen on Youtube. 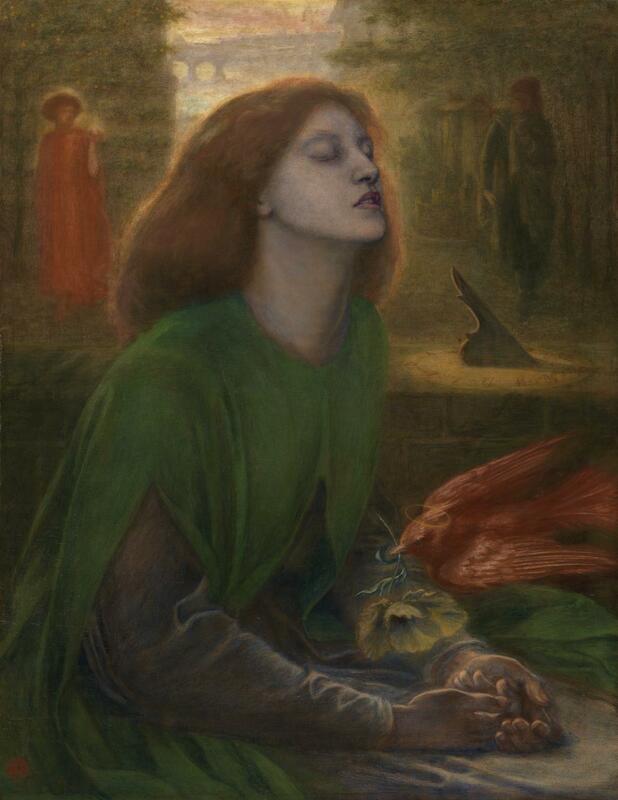 Rossetti explored the theme of the dying Beatrice in one of his most popular paintings, Beata Beatrix, which exists in several versions (the most famous is now in Tate Britain). The painting uses the features of Elizabeth Siddal, who had died in 1862, and many regard the painting as Rossetti’s haunting memorial to his deceased wife and muse. To view the painting and listen to audio commentary by Alison Smith, see the BBC Desperate Romantics website. A videoed lecture from Yale University about Dante’s La Vita Nuova.